Old movie poster for sale of the cult Hollywood film Terminator 3: Rise of the Machines (2003). Directed by Jonathan Mostow, T3 starred superstar Arnold Schwarzenegger in the lead role as the Terminator. 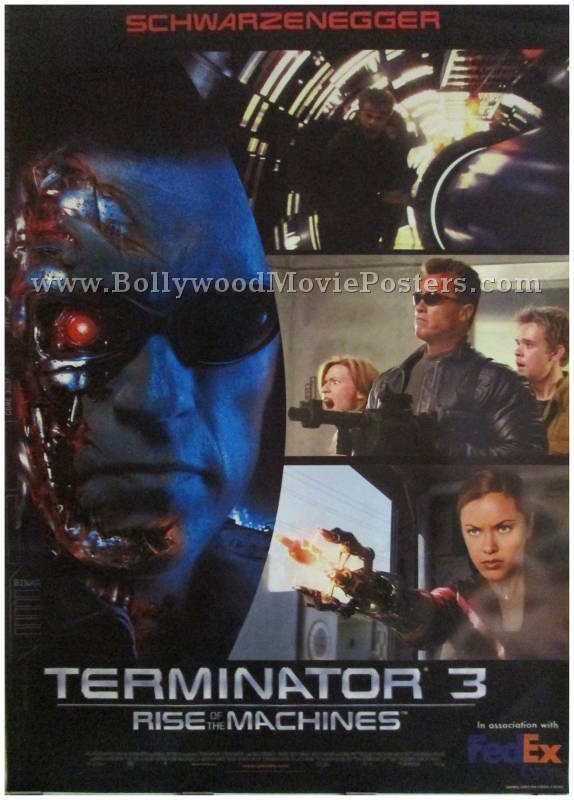 Printed in India during the local release of the film in 2003, this Terminator 3 movie poster was originally intended for publicity of the film but never ended up being used. This terminator film poster features a stunning close up of Arnold Schwarzenegger. Set against a dark background, this Arnold terminator poster also depicts key scenes from the film in still images.